In this module of Mark Ford’s home business coaching video series he talks about the critical step that you may be missing in your blog marketing strategy. Welcome to the second part of my home business coaching series, that was recorded with fellow Digital Experts Academy Black member JoAnne Mbonigaba. See Part One Here. In today’s section JoAnne asks me about a topic that is close to my heart, blogging. I am a prolific professional blogger and article writer. 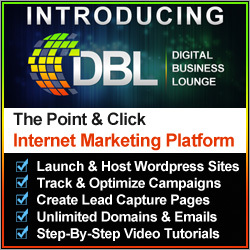 My website, the one you are currently on, has to date well over 1200 blog posts on it relating to all aspects of the home business and digital marketing industry. 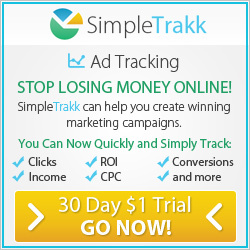 There are millions of blogs on the internet covering thousands of different niches or industries. 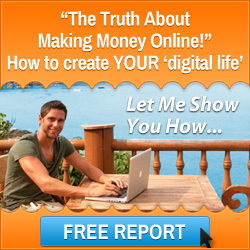 People from all around the world are making full time incomes from blogging, myself included. Blogging and article writing are very powerful mediums to get your message out to people who are looking for solutions to particular problems that they are challenged with. Content marketing is being used more and more by large corporate companies, they have recognized the importance of sharing content out to the world and blogging is a large part of their marketing strategy. So if you have a small business and you are not currently blogging to market your business, then I highly encourage you to do so. If you are not sure how blogging works, or how to set up your blog and monetize it then I let me share with you a valuable blogging resource shortly. Back to today’s snippet from my home home business coaching series. JoAnne asks me about particular blogging strategies and I share with her the critical step that all bloggers should take. If you are not doing this then a lot of your efforts will, quite frankly, be wasted. To find out what this step is please watch the video below. Just a few minutes ago I said that I would share with you a valuable resource to help you set up your blog correctly. I have created an e-book called Your Blog Content. In this ebook I share blogging strategies on what type of content you should be adding to your blog. Also I go through the complete set up structure, which platforms to use and how to monetize your content to enable you to make a six figure income from home. I regularly sell this e-book for $47, but today as a thank you for checking out this post on my home business coaching series, I would like to offer it to you with my sincere compliments. So if you click on the image on the left and leave your details I will send you a copy instantly to help you with your blogging. The Home Business Coaching Series – Why? 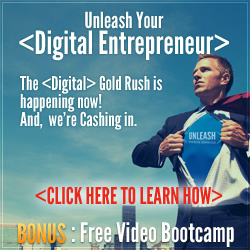 The reason behind doing this home business coaching video series is that myself and JoAnne have completed a personal brand building workshop, which was hosted by the Digital Experts Academy & Six Figure Mentors. The reason that I am in the position I am today is because of these two companies. Back in 2011 I was looking for methods to start a business online and I came across Stuart Ross who is the co-founder of both organizations. Through a video presentation, he said that through his training and mentoring programs he could show me how to start a profitable online business from scratch. So as you have expressed an interest in home business coaching I assume that you too are interested in looking into starting an online business from home. What I would like to do is introduce you to Stuart Ross where he will explain just what he and his company can do for you in helping you create a profitable online business from scratch. Please click on the image below and you will be able to see what Stuart Ross has to say. I hope that you have enjoyed today’s instalment of my home business coaching video series. If there is anything else you would like to know about blogging specifically or the Six Figure Mentors & Digital Experts Academy then please contact me here. This entry was posted in Blogging, Home Business Coach and tagged blog marketing, blogging tips, Digital Experts Academy, home business coaching, mark ford, six figure mentors, stuart ross. Bookmark the permalink.